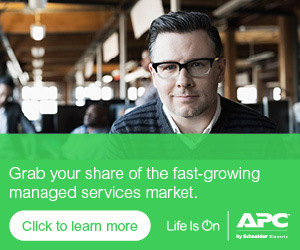 Virtualization technology is all the rage and many APC by Schneider Electric partners naturally want to get in the game as a way to drum up more business. Carousel Industries, a Schneider partner (and neighbor to our West Kingston, R.I. headquarters) started building its virtualization practice about two and a half years ago, so the experience is still fresh. To learn more about what it takes to build a virtualization practice, I talked with Phil Magnuszewski, Director of Virtualization and Cloud solutions for Carousel. For Carousel, the effort was basically a three-step process of building up internal technical expertise, training the sales force, and getting the marketing message out. In terms of building up internal expertise, Magnuszewski says the key is to identify and hire the right people – which is likely to take some time. The next step is to educate your sales team on the technology. Here again, Magnuszewski says it’ll take time. “Temper your expectations with the sales team,” he says. Carousel’s history is in selling telephony solutions, so virtualization is an entirely new animal. His approach was to find a few champions early on and focus on bringing them up to speed. Carousel handled most of the training internally, taking advantage of resources from vendors such as EMC and VMware. “They have really good online training tools, so you can get as deep as you want,” Magnuszewski says. And rather than try to eventually educate the entire sales force, Carousel uses an “overlay” approach, with certain sales people trained in specialty areas. Virtualization falls under the data center overlay, along with networking, security, wireless and storage. In terms of marketing, Magnuszewski says it was quite limited initially. “For the first 12 months, the focus was on getting deals done and making sure projects were incredibly successful,” he says. If you try to market your virtualization practice before you have some wins you can talk about, the sales effort will likely fall flat once a prospect asks what projects you’ve done. Which gets to a key element in the success of a virtualization practice: patience. “It’s a 3-year endeavor to get to where you want to be if you’re building it internally,” Magnuszewski says.